is honored on Panel 11E, Line 13 of the Vietnam Veterans Memorial. 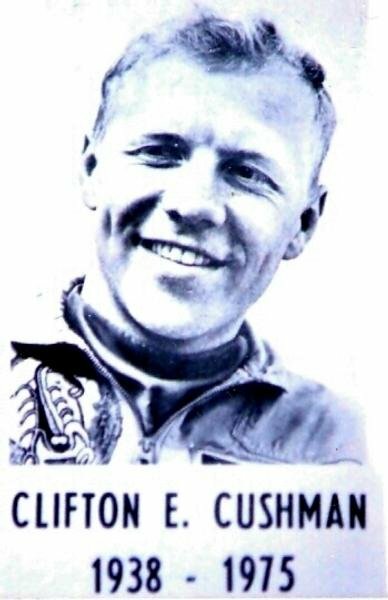 Major Clifton Emmet Cushman, Served with the 469th Tactical Fighter Squadron, 388th Tactical Fighter Wing, 7th Air Force. Thank you for your service as a Supersonic Fighter-Bomber (F-105D Thunderchief) Pilot. You are still MIA. Yesterday was St. Patrick's Day. Happy St. Pat's. It is so important for us all to acknowledge the sacrifices of those like you who answered our nation's call. Please watch over America, it stills needs your strength, courage and faithfulness. Rest in peace with the angels. I was a sports writer at The Forum in Fargo and reproduced Cushman's letter to the youth of Grand Forks following his fall in the final Olympics trials. His letter became a yearly column that was appreciated by many at The Forum. Thanks, Cliff. i wore your pow bracelet for years until i went though my general surgery rotation in medical school(1981) . i had to choose safety / potential infection over my need to hold you close. i even ticked off a friend because i wore it in her wedding. 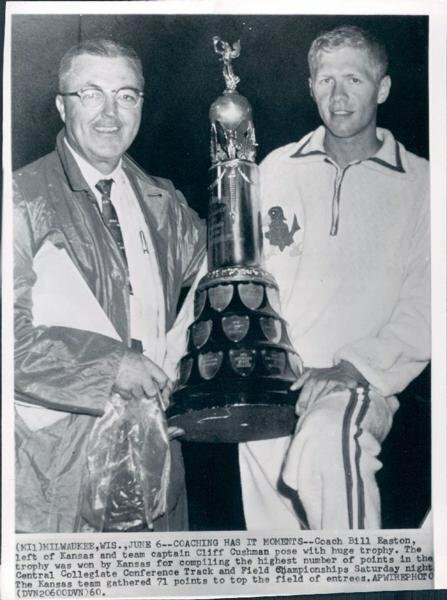 I would often see Cliff at the track meets we both competed in in North Dakota. What a guy, just about the most outgoing, helpful, nicest, person you'd ever meet. With a great big smile, he would actually give tips to his opponents on how to hurdle. I tell you there was something magnetic about the guy and, had he lived he would have become nationally known as a politician, for which he was ideally suited. Combine JFK and Bill Clinton, and you have what I think he would have become. I could go on, but It's enough to say no one who ever met Cliff ever forgot meeting him.